Maybe you've thought about freelance writing but your real interests lie in creative writing. Maybe you find nonfiction writing dull or unrewarding or you're worried that working with clients will kill the creative side of your work. It doesn't have to. Here are 11 ways you might be able to turn your creative writing passion into freelance writing opportunities. Some ideas are more traditional, but maybe you'll find a few you haven't considered yet. If the idea of seeing your name in print appeals to you consider submitting short stories, poetry, or other creative pieces to literary publications. There are print literary magazines as well as websites available. I haven't seen these publications pay on par with most commercial publications, but if the options are getting your fiction published and making some money versus no one ever seeing it because you don't know what else to do with it, literary publications might be the right freelance opportunity for you. You can indie publish your own fiction e-books through sites like Amazon fairly easily these days. But you might also be able to offer the service to clients on a freelance basis. E-book creation will often bring in four to five figure payments depending on length, so it can be lucrative work if you can carve a niche for yourself. Just as people want ghostwriters for books to turn their idea into a salable product, you can sell them on e-books as well. You could also just go the more traditional route of ghostwriting novels for others. The client may have an idea or even a fleshed out outline to work with. It's your job to turn it into a cohesive book. If they go the traditional publishing route you can ask for the advance and a percentage of royalties since you're doing the actual work. You'll sometimes see projects like this on freelance bidding sites where the client offers $500 - 1000 to write an entire book. Pass those up. Even if ghostwriting isn't your thing, you might be able to turn your passion for creative writing into a lucrative freelance editing career. There are a lot of self-published authors out there who desperately need the help of a professional editor. Why not offer to help them out on a freelance basis? Some creative writers think any kind of business writing is "selling out." They're wrong. That only happens if you allow yourself to take on gigs you know are sleazy in some way. Most are not. They're about getting messages out. And in ad copywriting those messages are often of a creative nature. There might be fictional characters in situations or using specific products. You can turn your creative writing interests into fun and effective ads for companies you already believe in. Why not pitch your services? From company training videos to Web series, someone writes the fictional video scripts that lead to the end product. If you have an interest in screenwriting, these types of freelance projects might give you some needed scripting experience. Okay. So these days maybe it's more about email writing or social network message writing. But letter writing isn't only for businesses. Consider a more creative approach -- from good old fashioned love letters to writing complaint letters for consumers who aren't sure how to handle them themselves. Creative writing doesn't always have to be fiction. And nonfiction isn't always dry facts. If you're passionate about a specific topic or audience, why not try freelancing with some creative nonfiction? That could involve writing nonfiction books, magazine articles, or scripts that educate children in a fun way. Or it could mean creative blogging for clients such as humorous commentary about issues in your specialty area. Scripts are necessary in many games too. All that dialog? Someone writes it. If you're a gamer, consider pitching your services. There are countless game developers out there these days, from casual Web-based games to more traditional video games. You could start your own Web comic or pitch writing services to a designer you know is interested in a similar project. Maybe you love to blog but you don't know how to turn it into fictional freelance opportunities. Consider character blogging. You can pitch services to TV networks, Web series developers, authors, or anyone who might want to launch a blog from their character's perspective as a way to market their main product / show / book. These are far from the only creative freelance writing opportunities out there. The next time you pick up something that interests you, ask yourself "did someone need to hire a writer for this?" Product packaging, gift cards, or cute marketing material that stood out in your mind -- these are all things you could do on a freelance basis. Just decide what kinds of creative writing you're most interested in and I'm sure you can come up with at least a handful of ways to pitch that service to clients on a freelance basis. 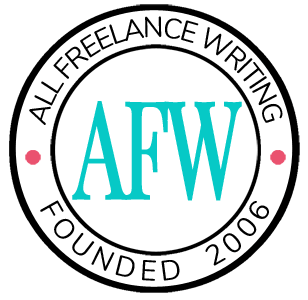 What other types of creative freelance writing are out there? Have you turned creative writing into freelance work? Leave your thoughts and additional ideas in the comments below. As a freelance writer who writes non-fiction for the money and fiction for the love, this was an inspiring post. I see some great possibilities for bringing my two worlds together. Thank you! Interesting and informative article. Thanks for sharing it, as it does give us a few ideas and niches we can try our creative hand at. Good addition Rebecca. I’d also like to add that there are other forms of screenwriting that can be great freelance opportunities like writing commercials, sales videos, etc. that most writers don’t immediately think of. Definitely. There are all kinds of video scripts out there for freelance opportunities. While I tend to do corporate instructional things more (and even that’s not frequent) my favorite type is actually the PSA for nonprofits. Great ideas! I would add screenwriting to the list. Make sure you develop well-rounded characters and have a great plot. You don’t want to lose your audience at the very beginning of your story. Thanks for these excellent ideas. I didn’t realize there were so many different options for getting into freelance writing. I’m going to save this to use in my search for jobs. How can I get a writing job online?